On January 2nd, 2018, Sherwood City Council approved a contract that secures the YMCA a place in our community. With this action, Sherwood closed a painful chapter in its political history. An episode that strained public trust in local government to the breaking point. Watching the community come together to effect change was inspiring. Our citizens gave us the opportunity to press the reset button and rebuild public confidence in local government. We must rebuild trust between city hall and the community, and repair a system that allowed past leaders to dismiss the desires of the citizens. The city manager, not the mayor, will set the council agenda, in consultation with the council. 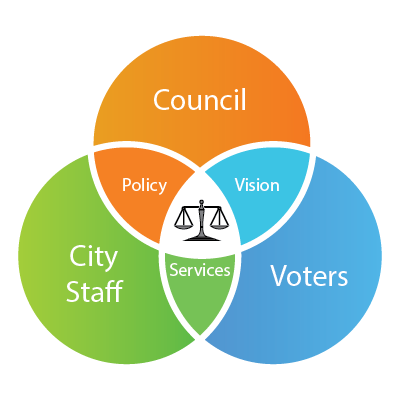 A minority of the council (three members) can call a special meeting, an emergency meeting or a work session and can place an item on the agenda. The ability of citizens to comment at regular meetings will be a required agenda item. City councilor and mayor expense items will be reviewed, on a regular basis, by the full council. This is a big step forward, to ensure that future elected officials can't abuse the system. 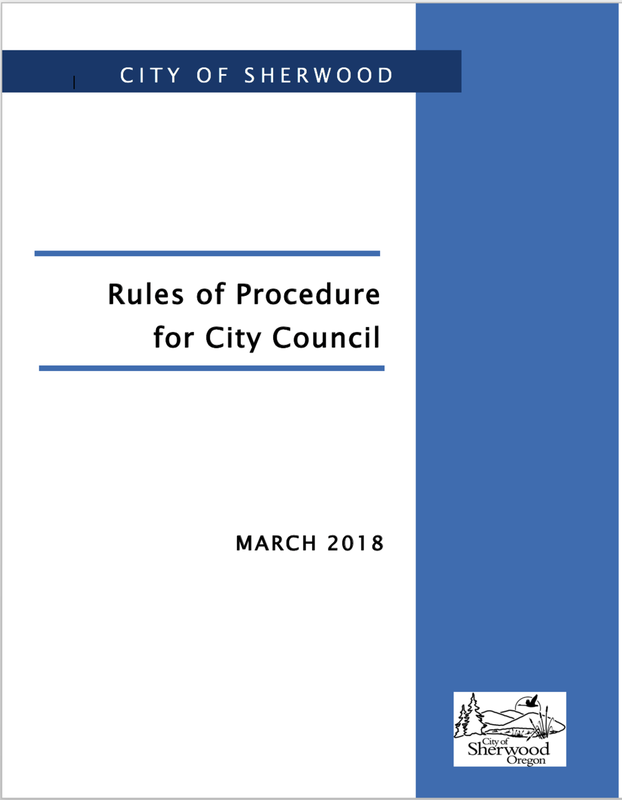 Council rules are evaluated each year and are subject to change. For this reason, I have been advocating that we create a Citizen Committee to recomend changes to the City Charter. This would prevent future councils and mayors from exploiting parliamentary loopholes to drive personal agendas. A City Charter Review Committee is being formed. 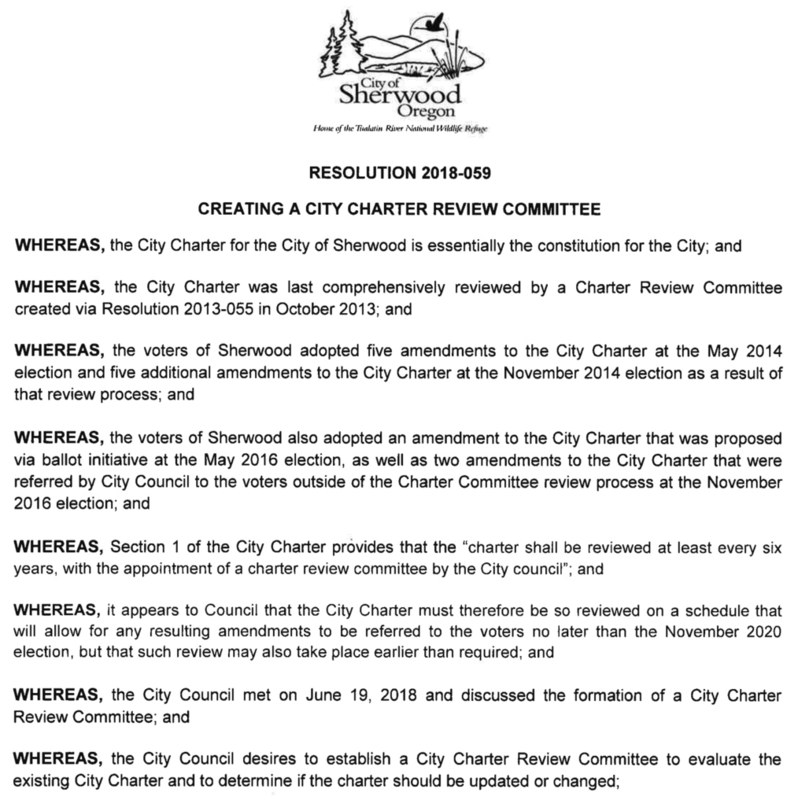 Out of concern that past history doesn’t repeat itself, on June 19th the City Council passed Resolution 2018-059 creating a City Charter Review Committee. The committee will be comprised of members from some of our boards and commissions and citizens. The committee will submit it's recommendation to the council and then it will be sent to the voters for apporval. I believe it is essential that this committee focuses reforms to our charter, similar to the new council rules that will prevent future elected officials from controlling the agenda for personal gain or in opposition to the will of the community.